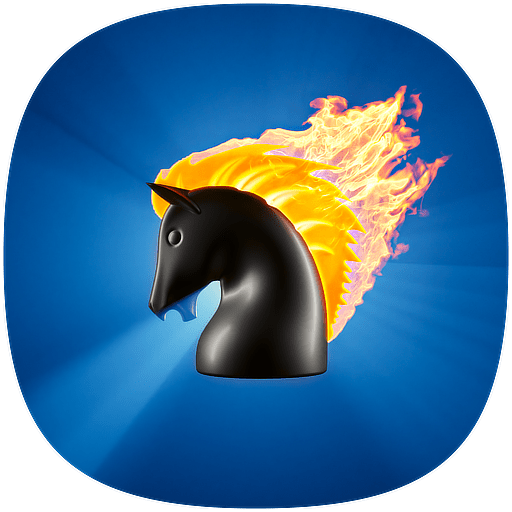 What would you like to see in SparkChess multiplayer next? SparkChess 7 has been rock solid for the past year, with an uptime of 99.98% and almost all feedback from you is positive. Still, we’re constantly looking for ways to improve the game and the way you play with it. We’re now looking at some changes and additions and we’d like your feedback. In chess it’s important to make sure you’re comfortable with the positions that arise from the choices you make early in the game. One position may even be objectively better. But as long as they’re both playable, if the first position doesn’t fit your style, the other one is your best choice. We all play some positions better than others. It happened to me a couple years ago, and here’s why. Chess doesn’t have to be boring. Long, slow games are not a requirement. A chess computer AI doesn’t have to be a cold, merciless terminator. Playing chess online in multiplayer doesn’t have to be complicated or subject to bullying. Yes, you can actually have fun with chess. We assembled a video of what SparkChess can do. Either consciously or unconsciously, chess players continuously assess the importance of time, space, and force. The relative importance of each of the elements shifts frequently throughout the contest, and it’s vital to factor this into our analysis. In this opening, White trades off the permanent weakening of his pawn structure for long term pressure against the dark squares. This theme of weak dark squares consistently presents itself throughout the contest. It colors every single variation and it is the dominant theme in this game. A large number of grandmaster games involve dominating squares of one color. In chess terminology, this is called “working a color complex” and you’ll often see grandmasters orchestrate numerous maneuvers through a color complex on their journey to victory. Former World Chess Champion, Viswanathan Anand, fought to defend his title against Magnus Carlsen. If you own SparkChess 7 Full Version you can download the PGN database and replay the games at your leisure. We will start by looking at the art and science of chess. Clearly, it is a science, subject to absolute laws which can be classified and studied. At the same time, it is clearly an art form which lends itself to high levels of creative thought and interpretation.